I am deeply saddened to inform you of the passing of Barbara Jolly, former Office Manager for ASASP. 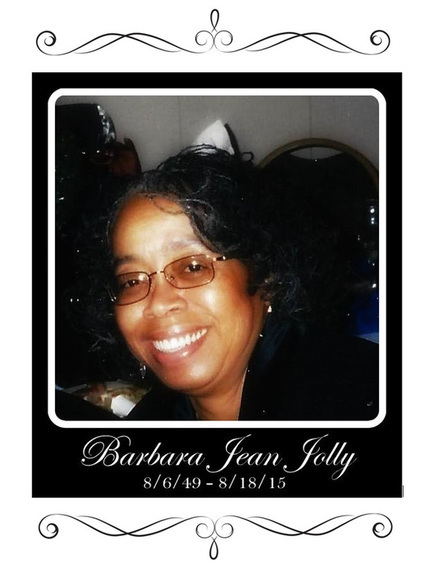 Barbara passed away on August 18, 2015 at 66 years of age. Barbara is survived by her husband Thomas, 4 children and 11 grandchildren. For 15 years, the ASASP staff consisted on Barbara and I. Barbara and I ran and built ASASP into one of the most respected Unions in the area. She was instrumental in offering strong representation to our members. And I knew, she always had my back. Words can not express how much she is missed. Fund at 9935-D Rea Road, #212, Charlotte, NC 28277.